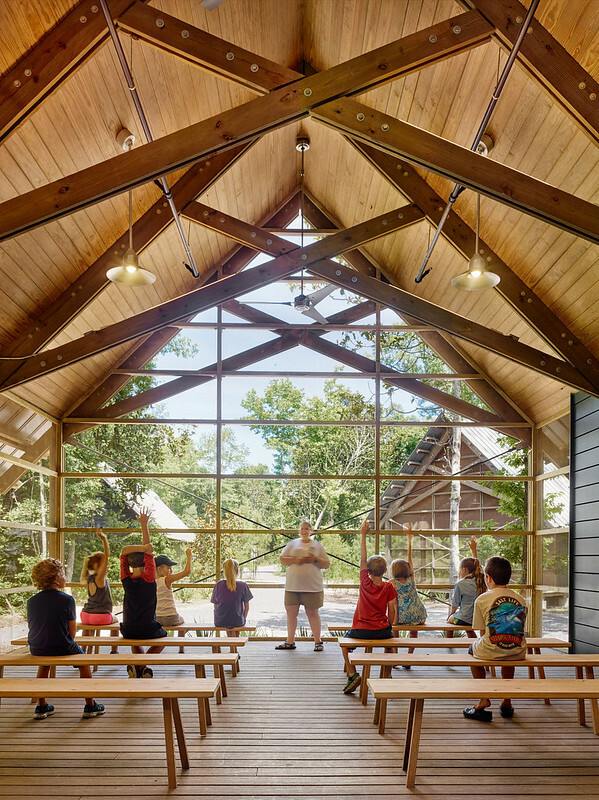 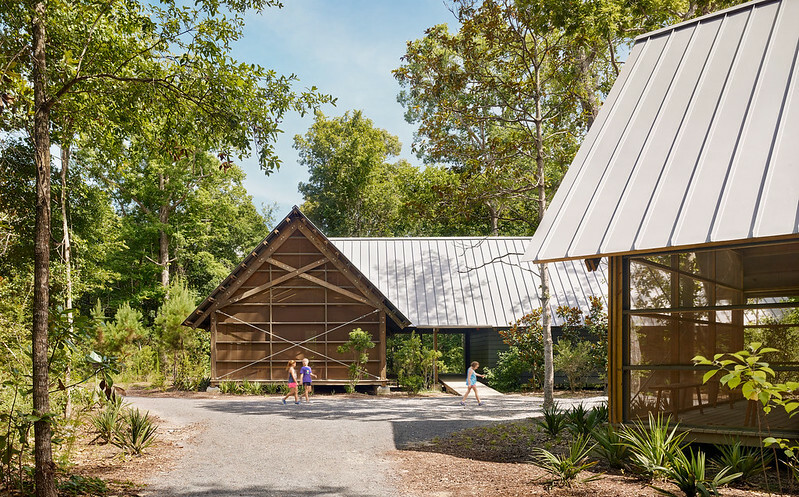 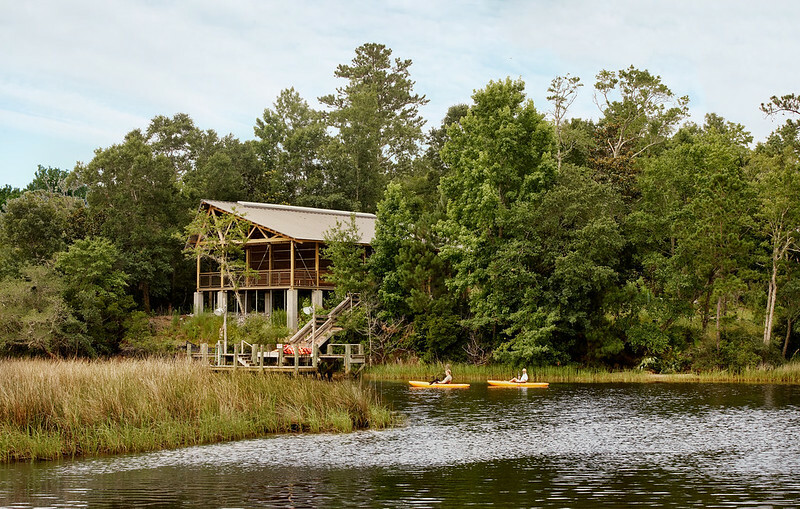 Heeding this advice from the Center’s director, the project team focused on sustainable and resilient design for the Marine Education Center at the Gulf Coast Research Laboratory after the original Center was destroyed by Hurricane Katrina in 2005. 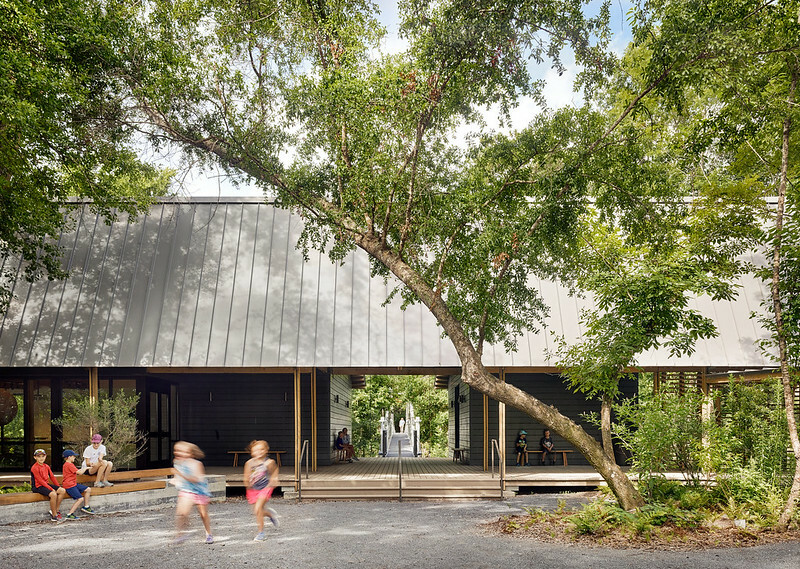 Designed to be naturally resilient, the team sited the Center’s six new buildings tightly within the existing tree canopy, allowing the trees to serve as a natural wind buffer. 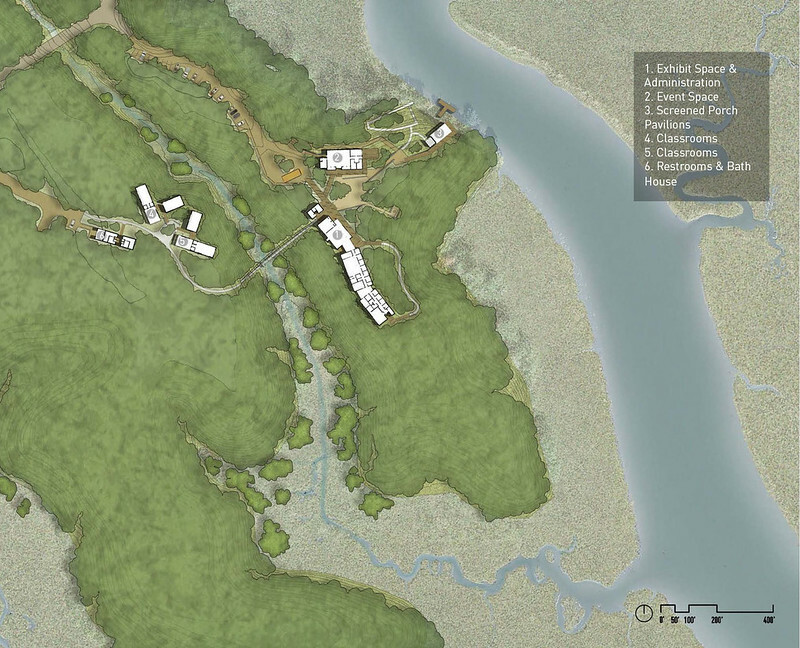 Considering both acute natural disasters and durability, the design centered on how to use and maintain the land to serve as the first line of defense. 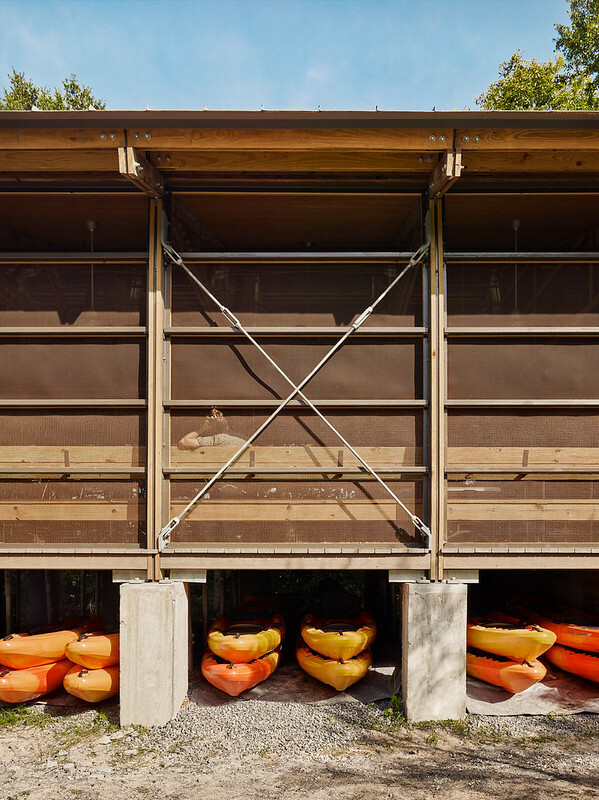 The team assessed all building materials for their ability to withstand intense weather conditions and wear over time. 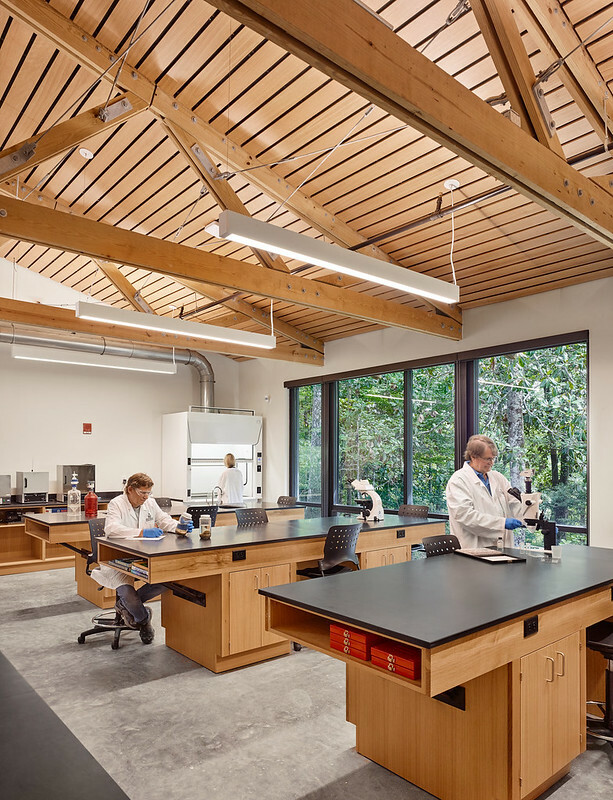 Low-impact materials were carefully selected for the health and wellbeing of the building’s occupants and to avoid contaminating the ocean in the event of a natural disaster. 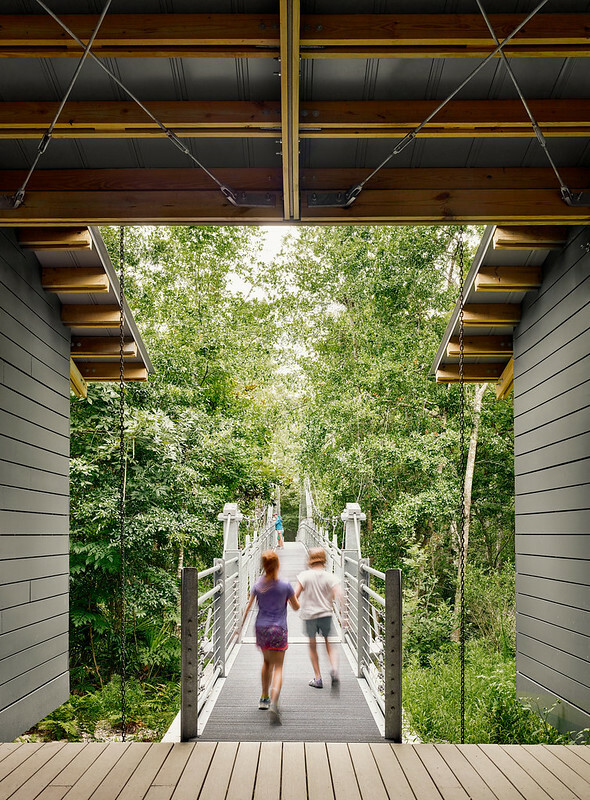 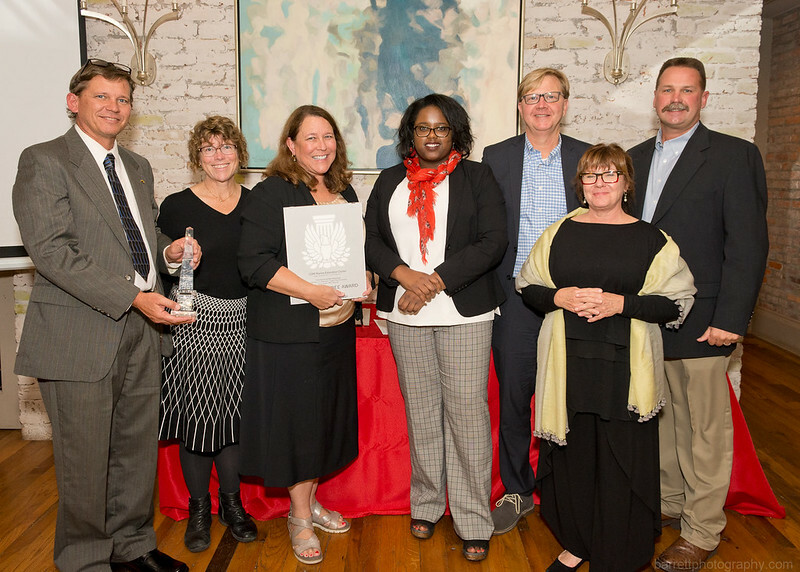 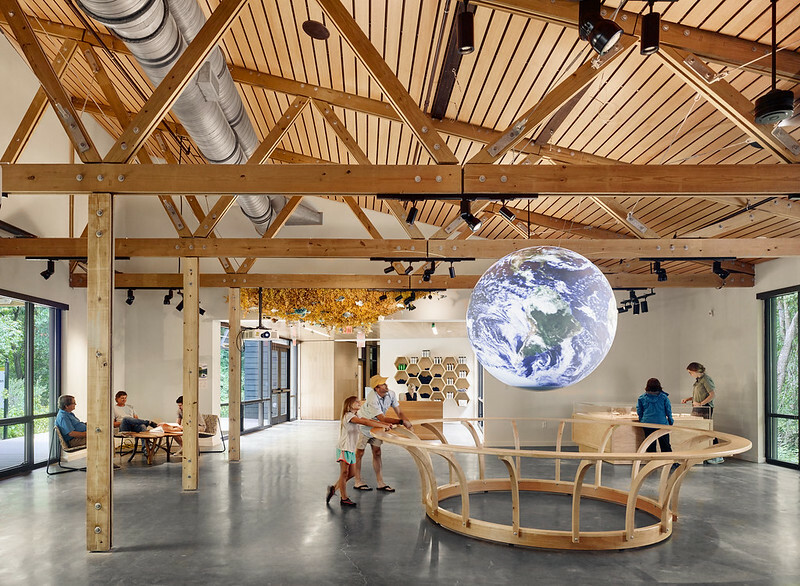 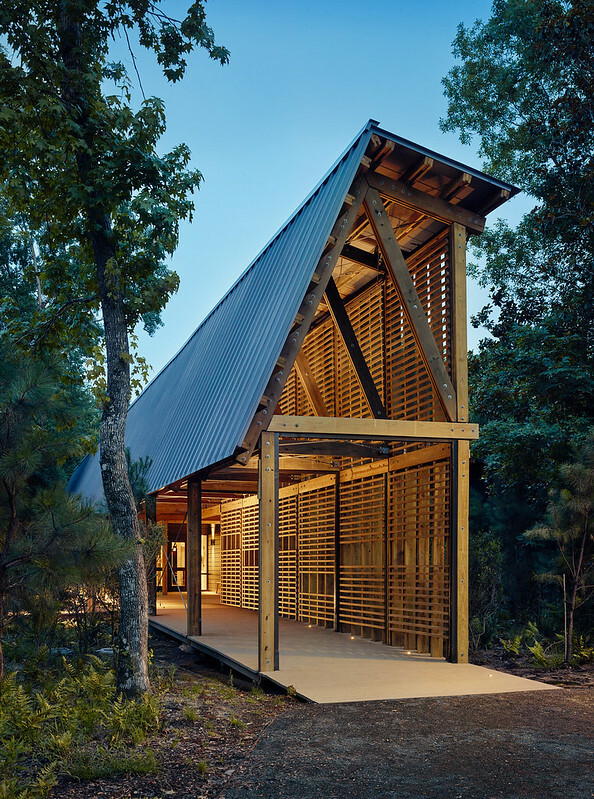 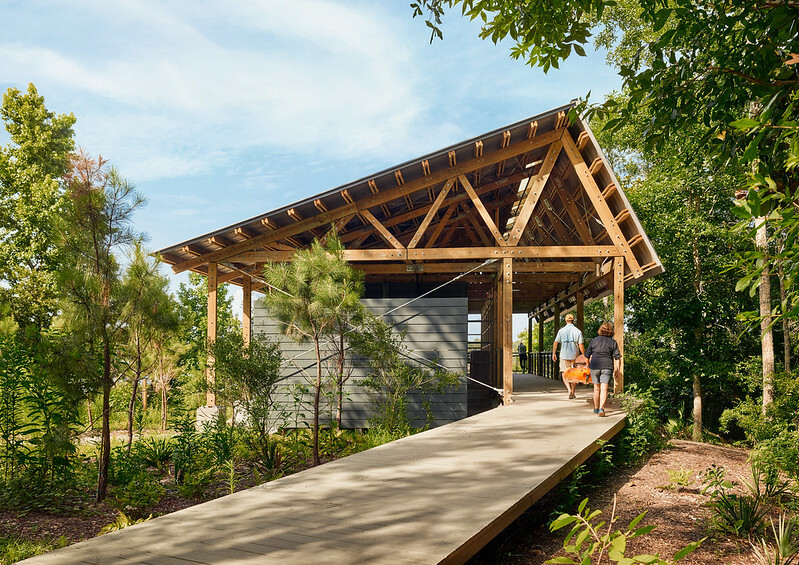 The Center serves as an outreach and education facility where researchers have an unparalleled opportunity to learn about the ecologically critical bayou and marsh wetlands of coastal Mississippi. 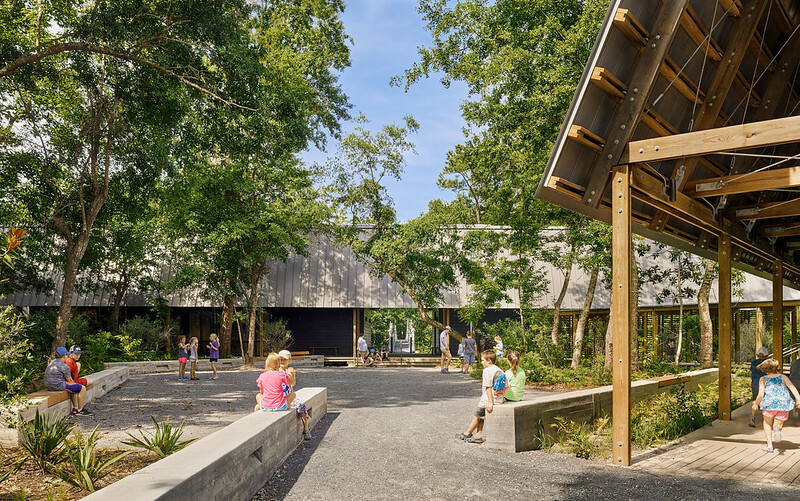 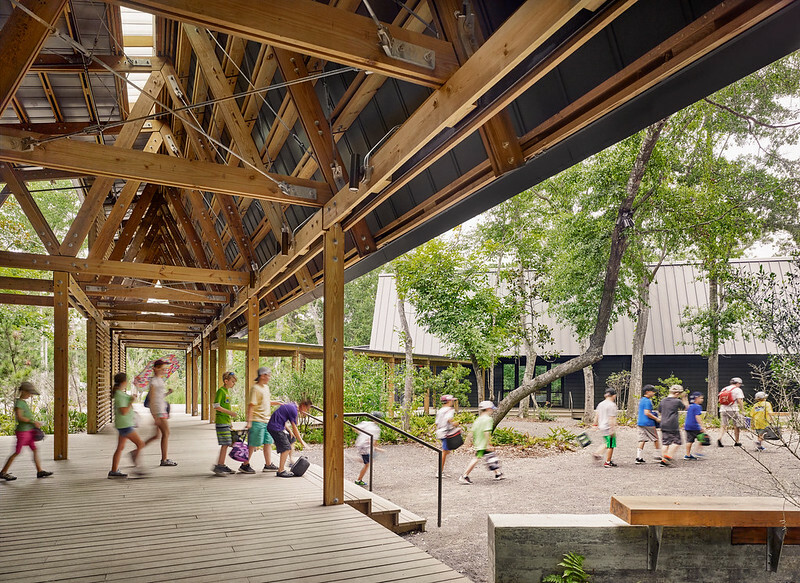 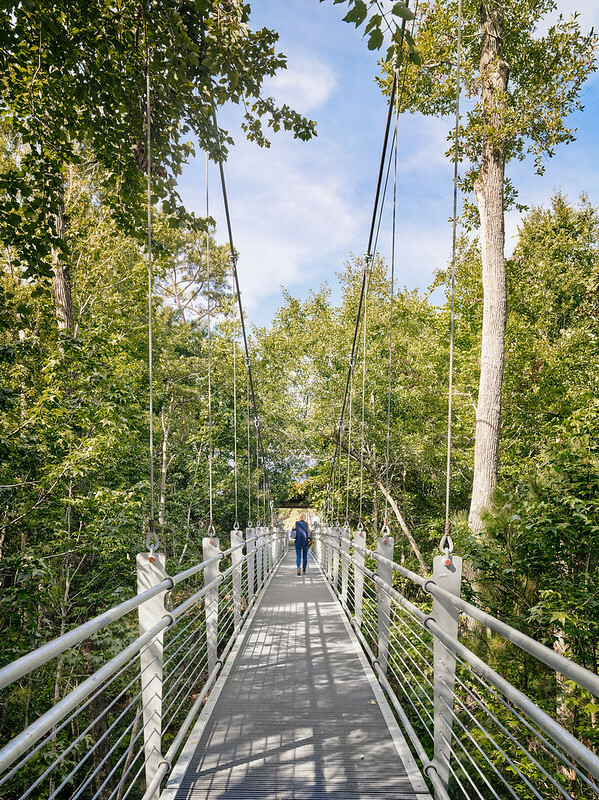 The primary facility includes outdoor classrooms, laboratories, administration offices, assembly spaces, exhibition areas and a 200-foot long pedestrian suspension bridge. 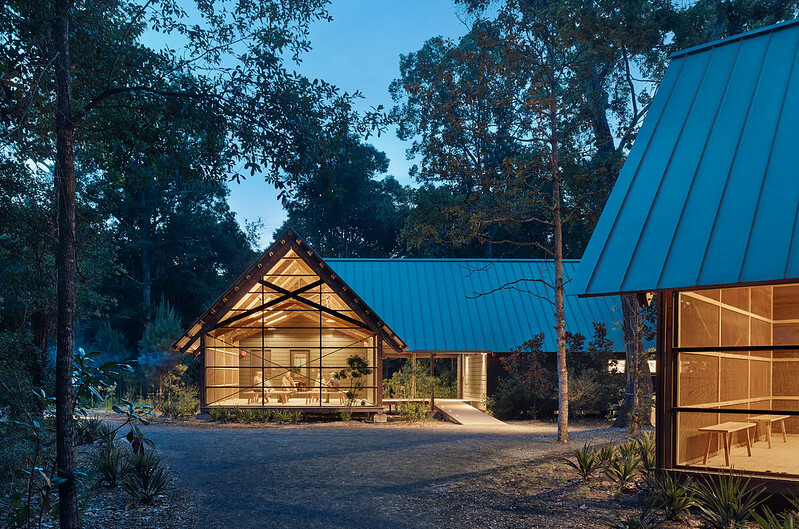 General Contractor: Starks Contracting Co., Inc.